Low visibility ANSI approved glass safety screen. Split-flow Dancing-Fyre burner for realistic flame. 9 piece log set – different look from either side. 8” top or side vent options. 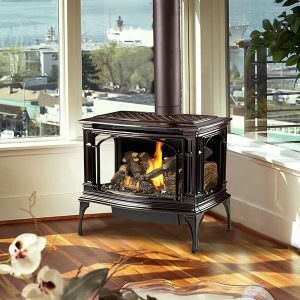 The 864 See-Thru depicts tranquility with a perfect balance between its firebox, logs and flames. 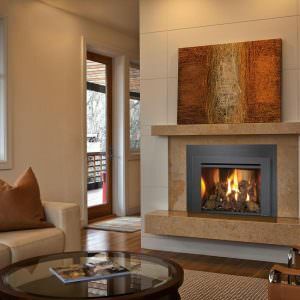 The logs and fire have been carefully designed to offer a different look from either side. 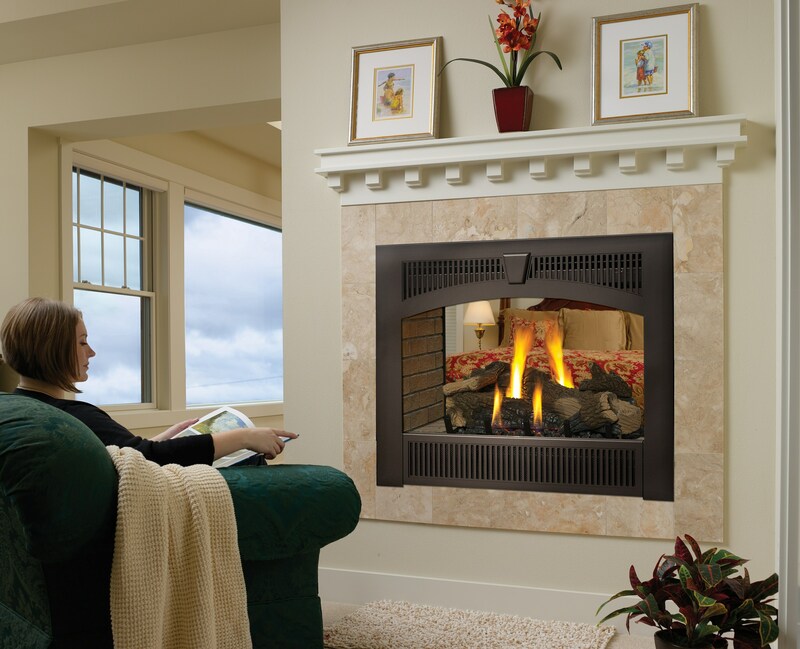 Convection air moves to both sides of the fireplace making it ideal for heating two separate rooms at once. 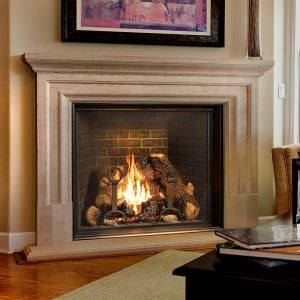 Compare the amazing high definition, nine piece log set with any other see-thru fireplace on the market! High clarity glass comes standard with the ANSI-compliant invisible safety screen, increasing the overall safety of this unit for you and your family. 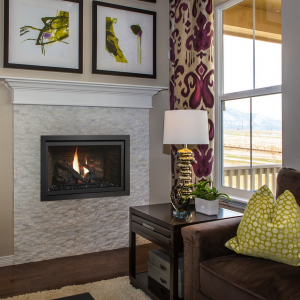 The 864 See-Thru fireplace will give you a warm, yellow fire with glowing embers that your friends and family will have a hard time telling apart from a real wood fire. 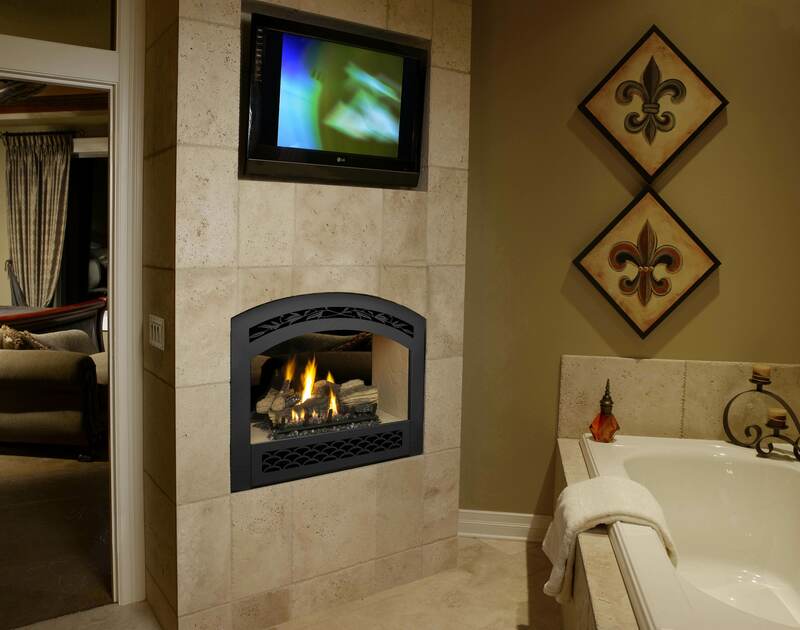 With two sides to the 864 See-Thru Fireplace you have the ability to personalize each room using a different face on either side of the fireplace. Choose from the Basic Grill Set in black or pick from our wide variety of finishes and designs. 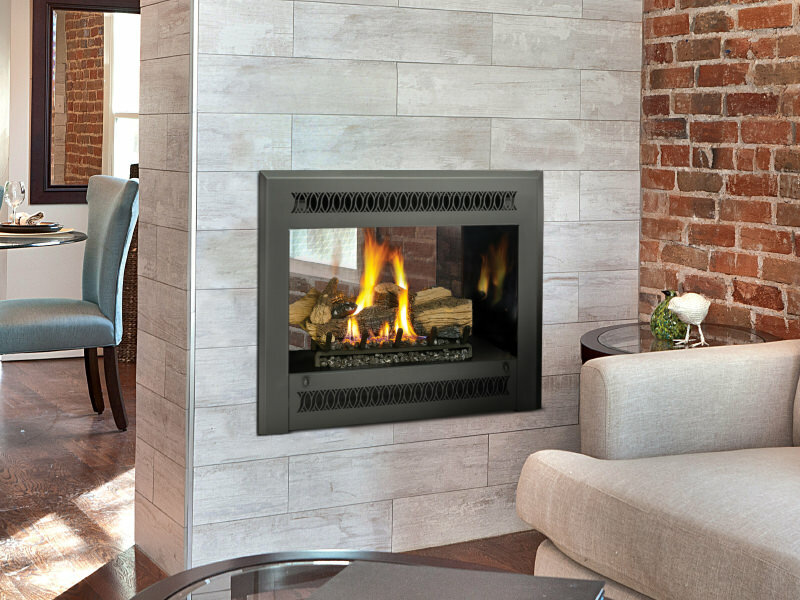 The 864 ST gas fireplace features Comfort Control, allowing you to adjust the heat output so you can enjoy the ambiance of this fire all year-round. 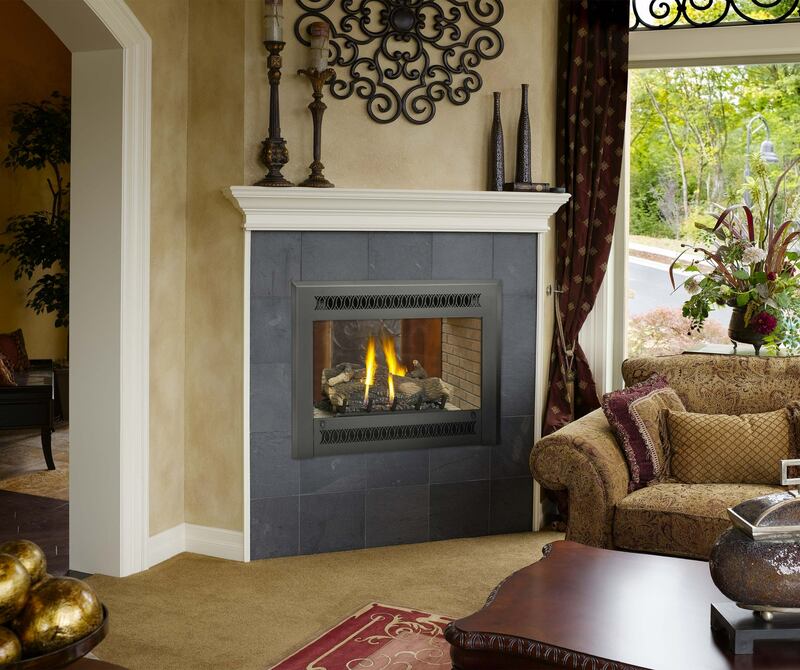 This fireplace also includes the optional Power Heat Duct Kit to move heat to an adjoining room – up to 25 feet away.